Children love to create. At My Creative Child, we have everything ready to encourage and nurture your child to create the most amazing art, and all with their own personal touch, individuality and approach. 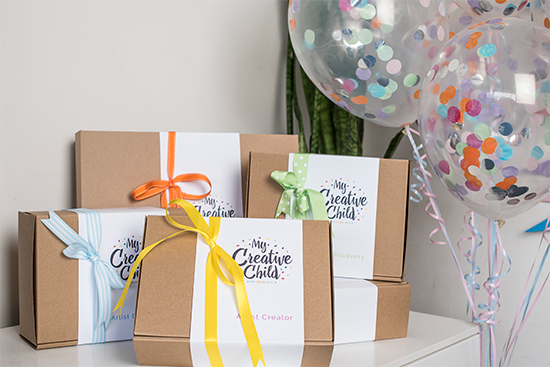 Our amazing and inspirational packs unlock your child’s unique creativity and give your child all the stepping stones for creative thinking. We have made everything easy, every pack contains absolutely everything your child will need. From ideas and inspiration, quality art materials, glue, paint, brushes, parent prompts to assist if you would like, as well as easy to follow guides for your child. Every pack has age recommendations ready for your child to shine, explore, play and create. Choose the pack best suited for age or skill, then simply click, pay, and the art lesson will be delivered to you pronto (be it be to home, Grandparents, holiday stay, hospital, Kindergarten, School or Community group) Also perfect for school holidays, home schooling or family gatherings to keep everyone entertained. Looking for the perfect art gift for the creative child in your life, we have the perfect art gift, wrapped and ready to deliver to their door. We can also enclose the perfect matching card and personalised message for you. All the essentials for great art in materials focus packs. These gifts are for children who want to create with specific age appropriate materials and are ready to play, explore and create. Choose the one off, 3, 6 or 12 month package, then at the start of the corresponding month, your art pack will arrive with 4 or 5 inspirational lessons ready to create. Each monthly pack is seasonally themed and will give a wonderful cross section of all art forms and technique. Two main age groupings make sure everyone in covered and ready to create with age appropriate ideas, inspiration and quality materials. Each box contains everything you need to complete an amazing artwork from start to finish. All you need to provide is a space to work and off you go. All the materials are ready and prepared, tools and equipment included, instructions are easy to follow and inspirational, ready for each child’s own interpretation and artistic input. 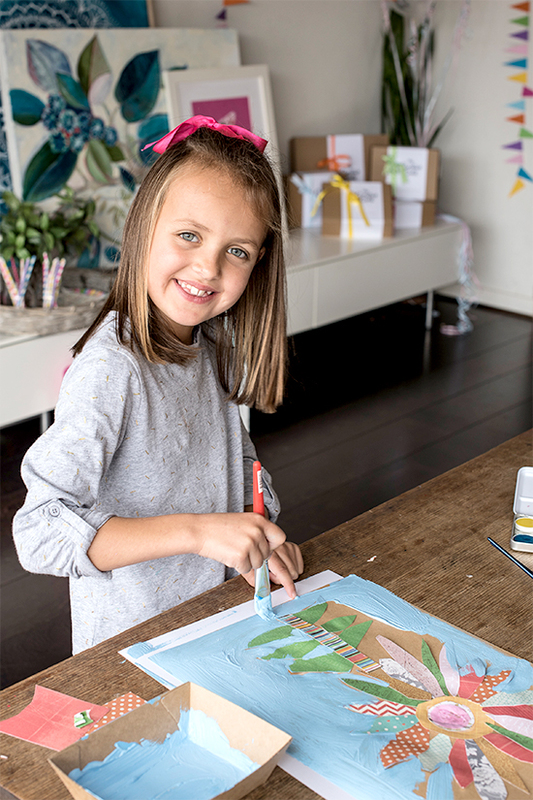 My Creative Child offers the perfect unique at home Art Party Solution. Choose your Party Theme, let us know how many children will be at your party, choose the art party pack that best suits your needs (Party Fun Pack, Happy as Party Pack, or Party Central Super Art Pack) and click to create. We will organise and pack everything ready for delivery to your door. 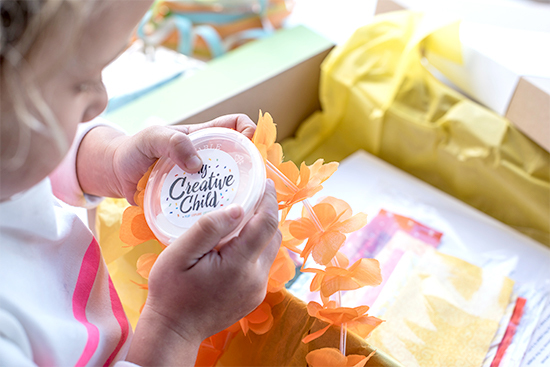 At My Creative Child, our packs are as unique as the children who create from them. As each child sees, perceives, and thinks differently, we embrace those differences and encourage them, this is where My Creative Child packs shine, we allow personal thoughts and ideas, we encourage exploration and have all the steps in place so every child creates as an artist and enjoys the experience,as well as having a wonderful artwork to share.